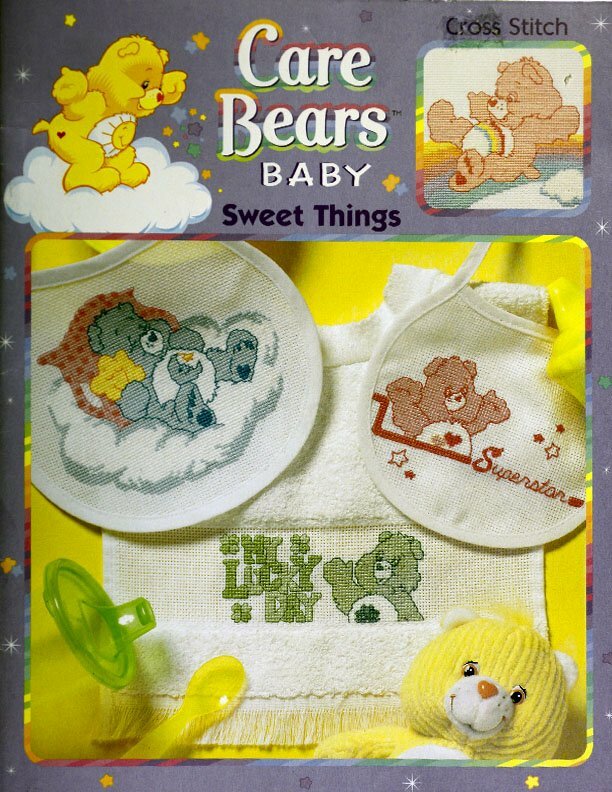 Bibs, Bottle Covers, Afghans, etc. 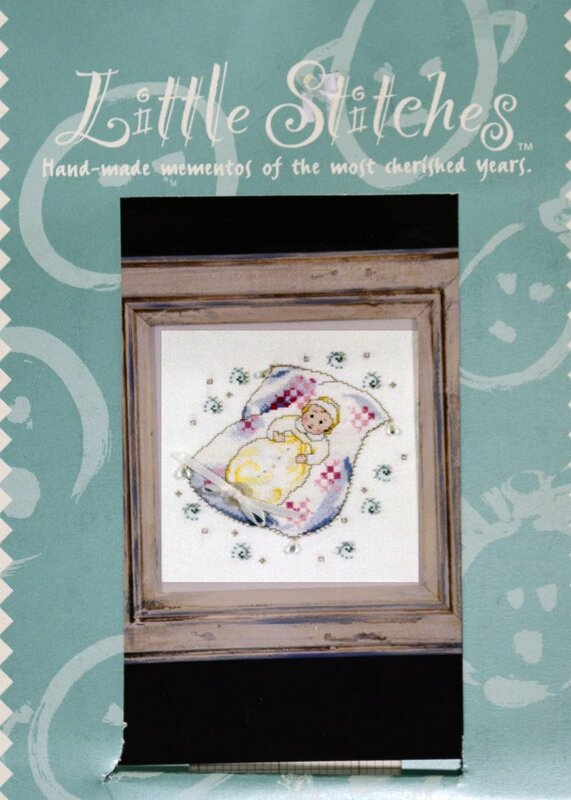 "Pitter Patter #1" is presented by Jeanette Crews Designs. 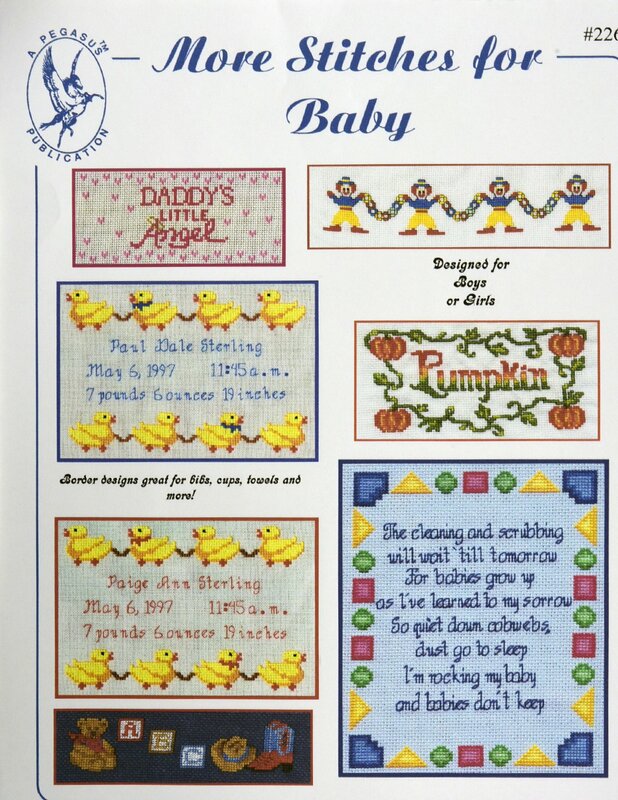 "Babe-Bee" is presented by Just Cross Stitch. 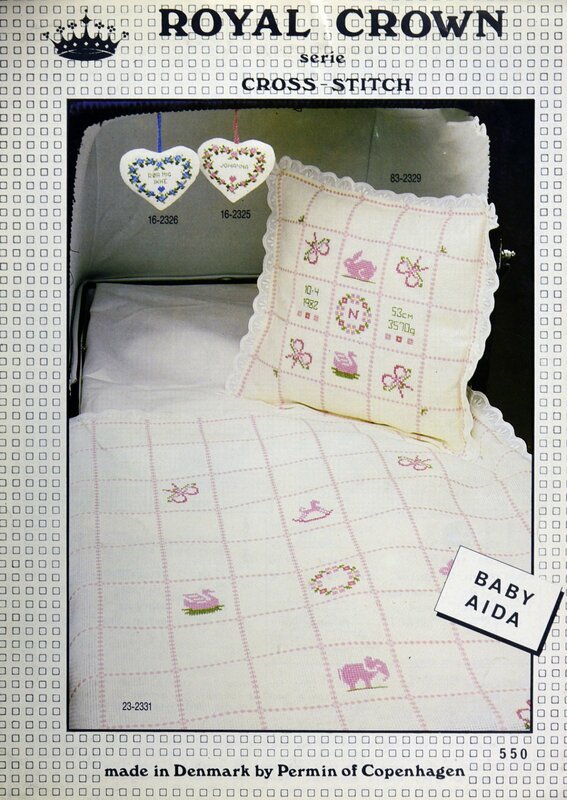 Royal Crown Series "Baby Aida" is presented by Permin of Copenhagen. 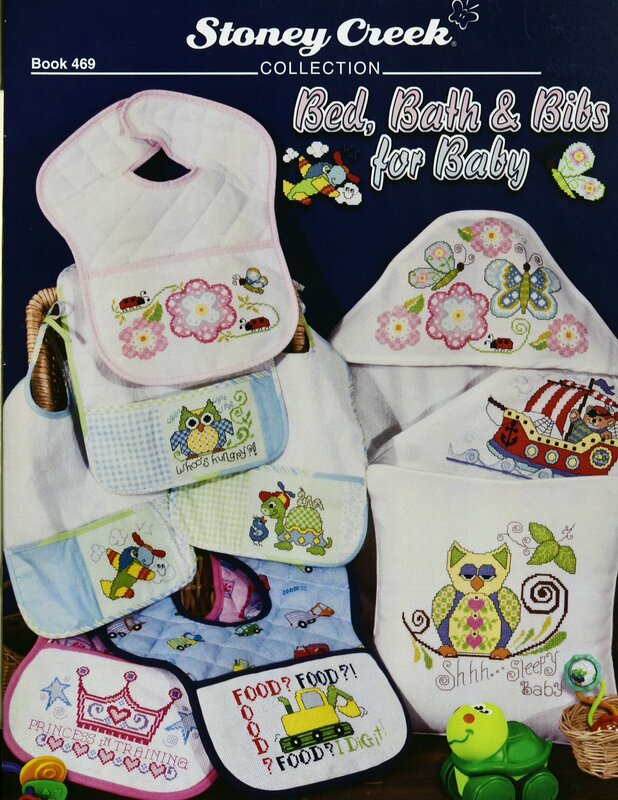 "Bed, Bath & Bibs for Baby" is presented by Stoney Creek Collection. 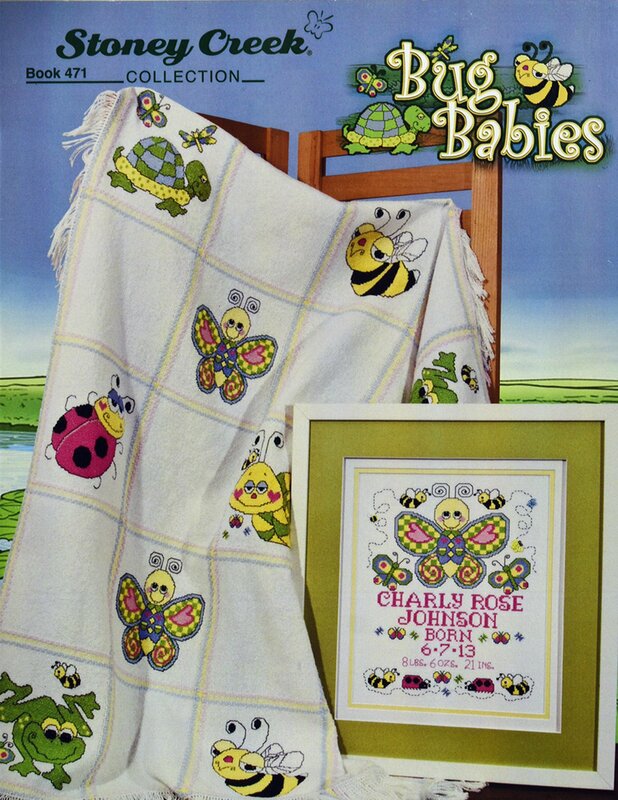 "Bub Babies" is presented by Stoney Creek Collection. 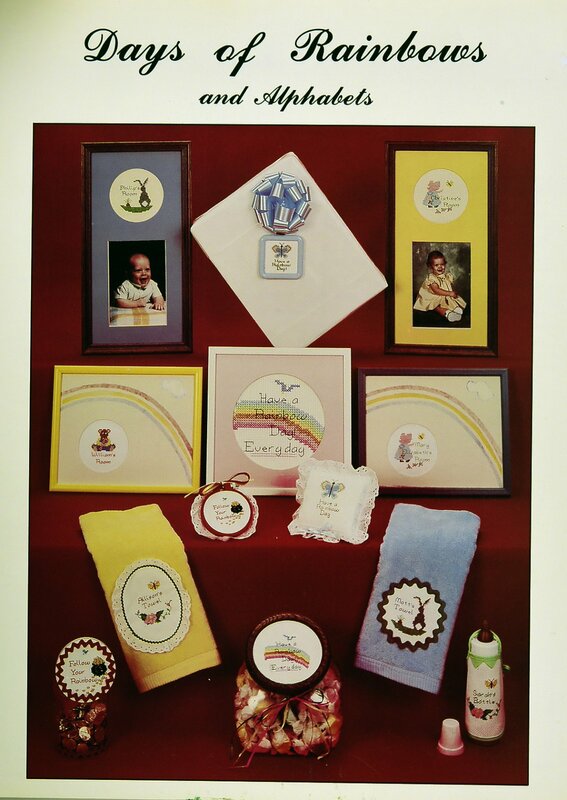 "Days of Rainbows" is a group of designs to put on towels or clothing or gifts. 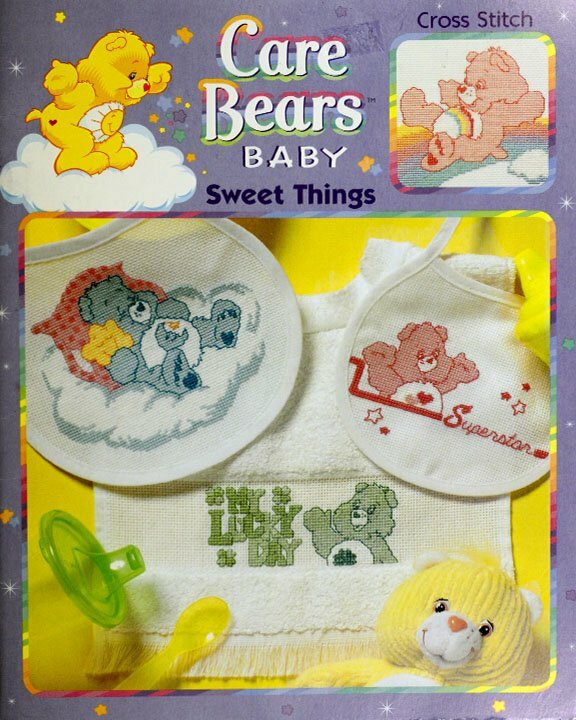 Alphabet is included. 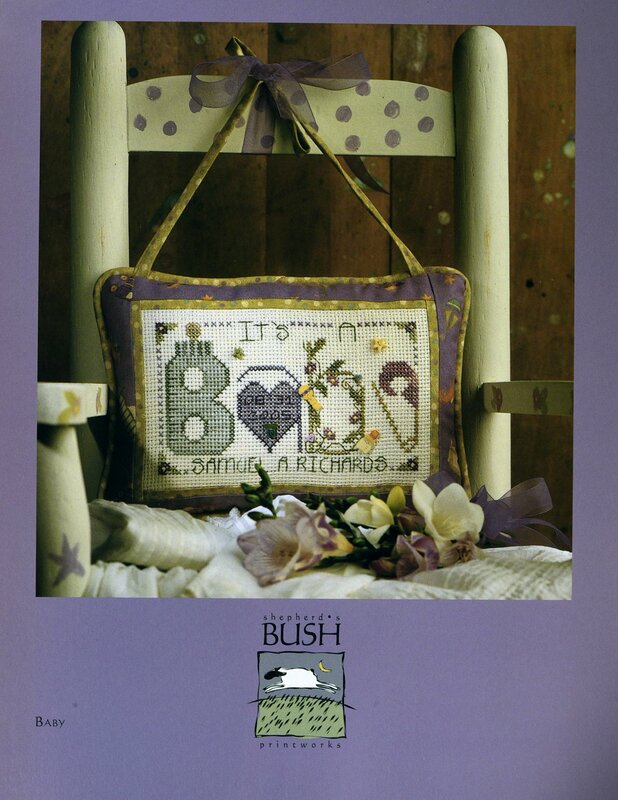 "It's a Baby" is presented by Shepherd's Bush. 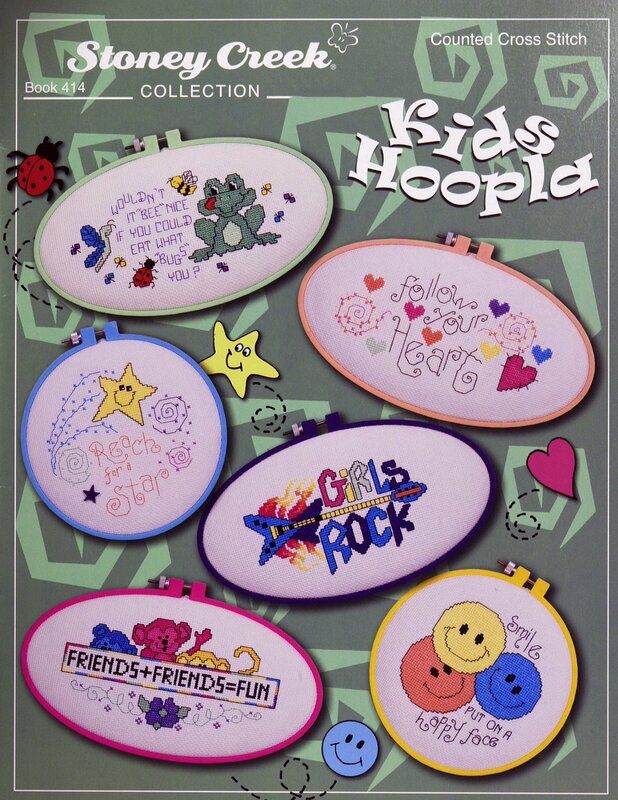 "Kids Hoopla" is presented by Stoney Creek Collection. 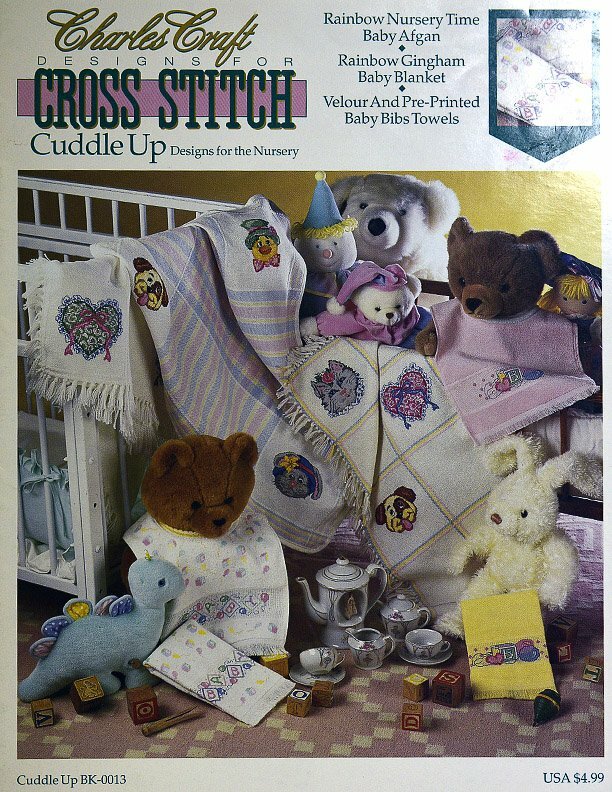 "More Stitches for Baby" is presented by Pegasus Pub. 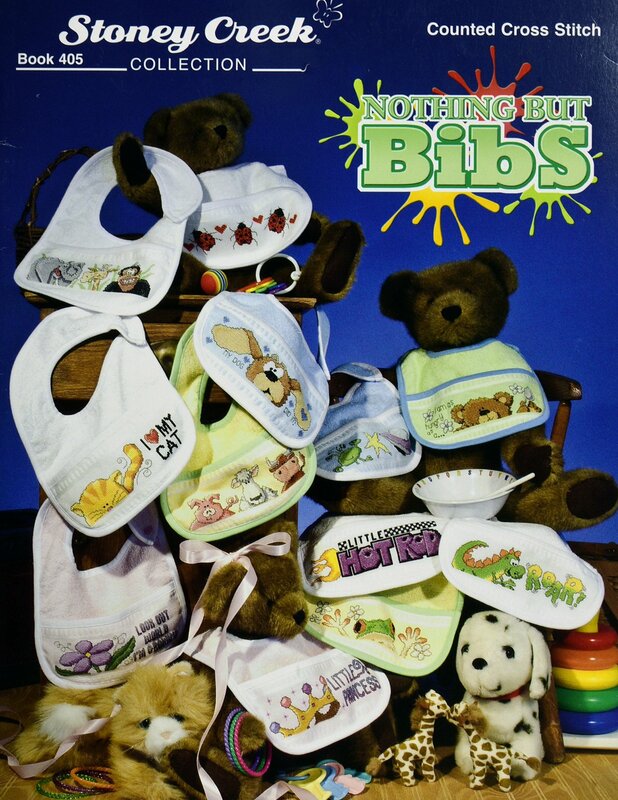 "Nothing but Bibs" is presented by Stoney Creek Collection. 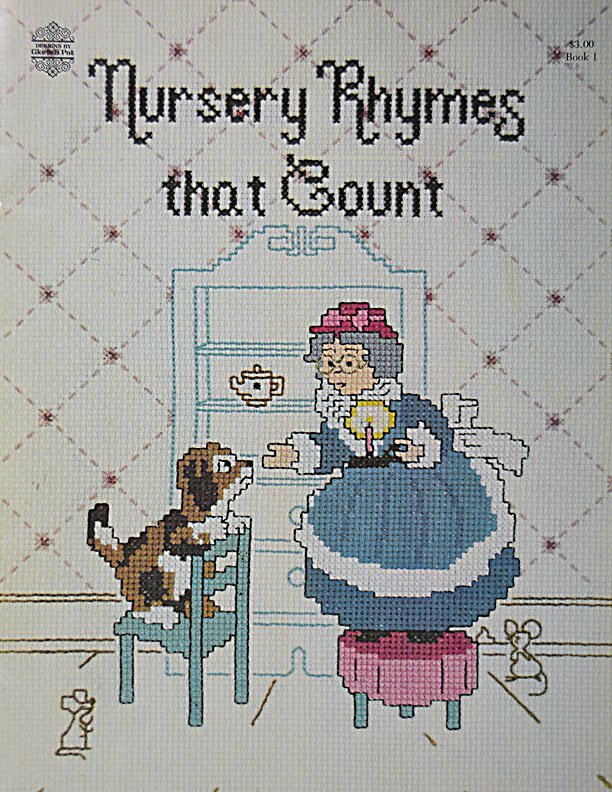 "On Grandmother's Quilt" is presented by Nora Corbett. 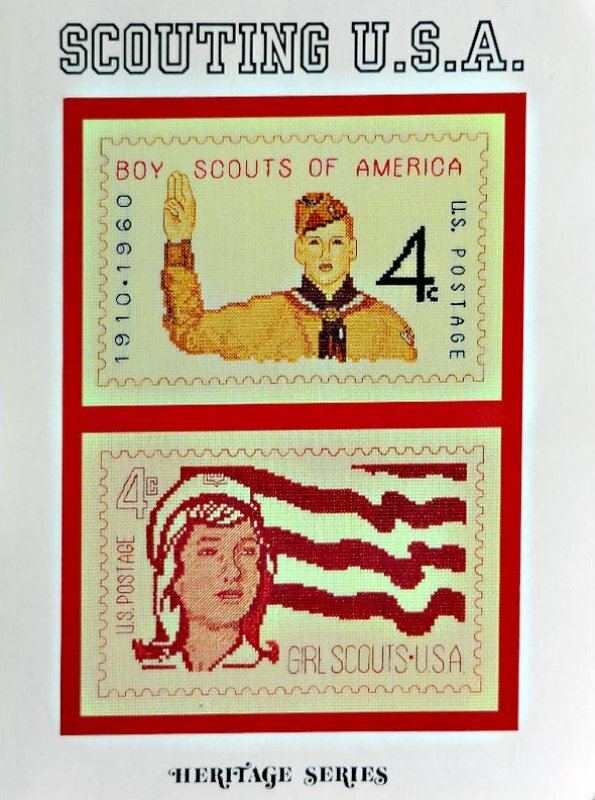 Scouting U.S.A. is published by Heritage Series. 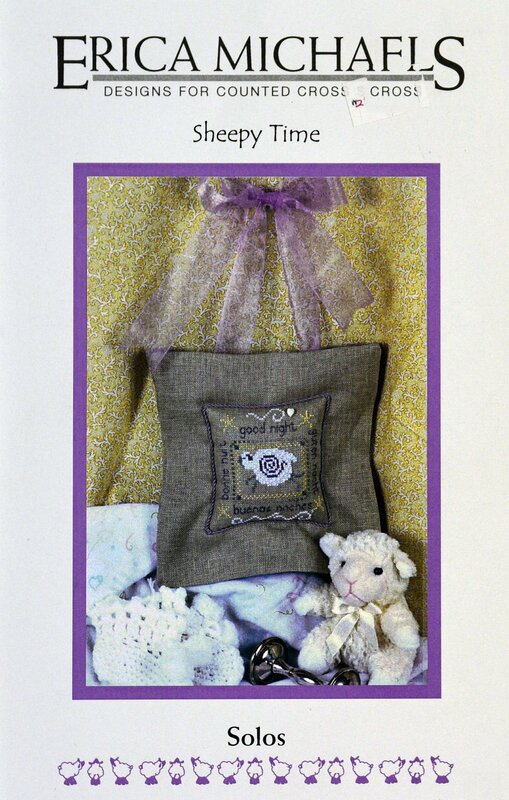 "Sheepy Time" is presented by Erica Michaels. 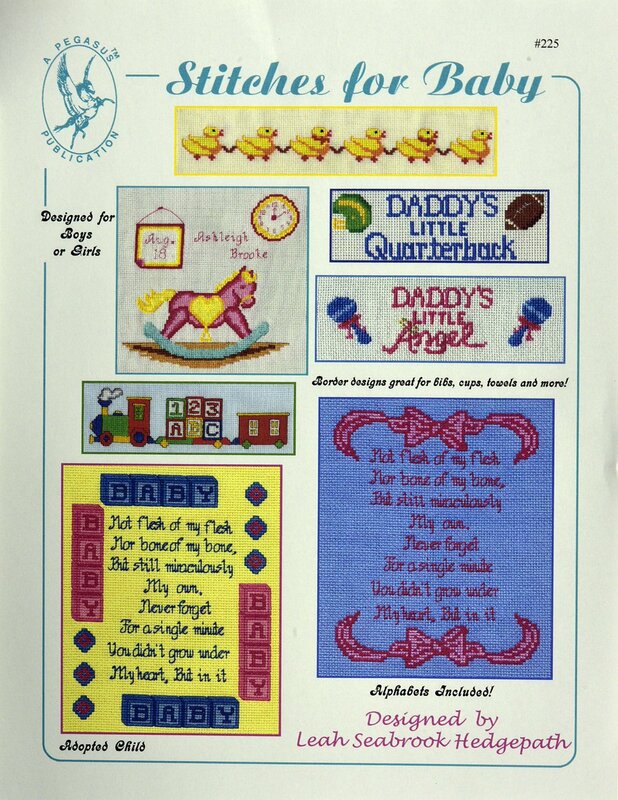 "Stitches for Baby" is presented by Pegasus Pub. 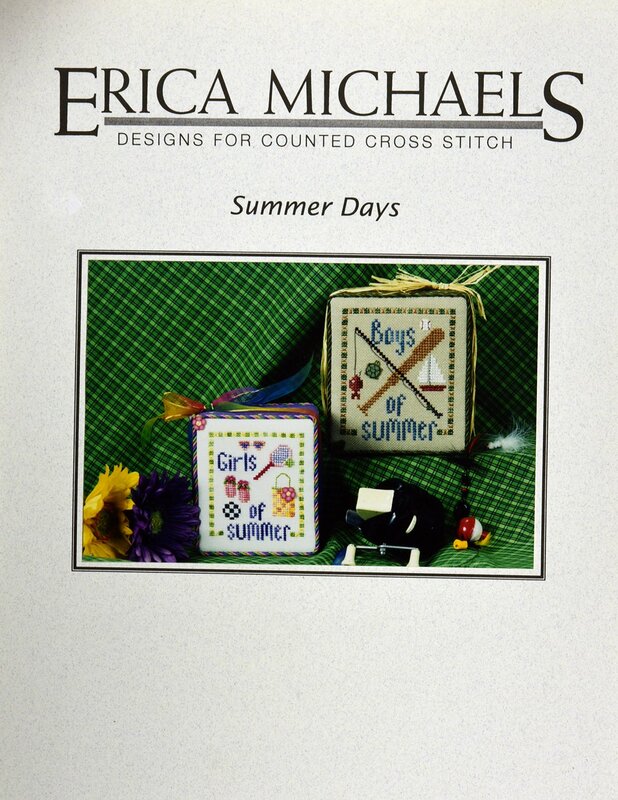 "Summer Days" is presented by Erica Michaels. 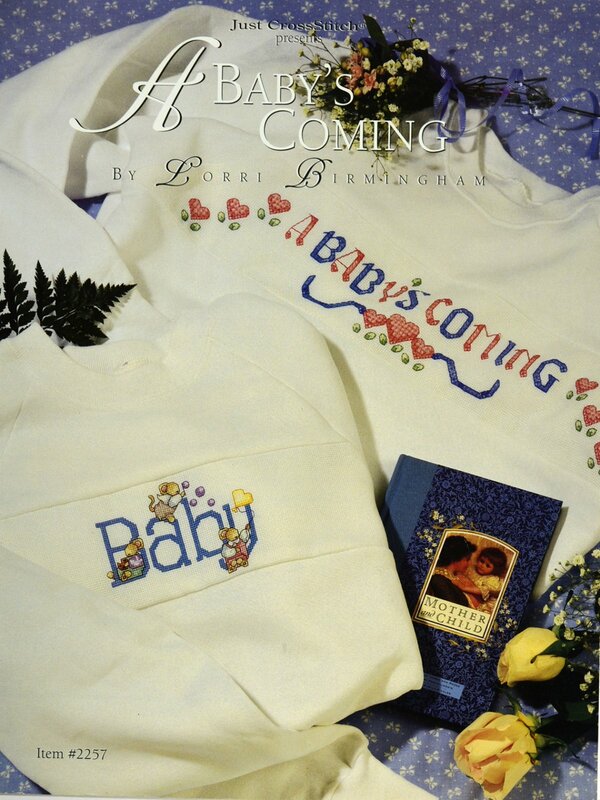 "A Baby's Coming" is presented by Just CrossStitch. 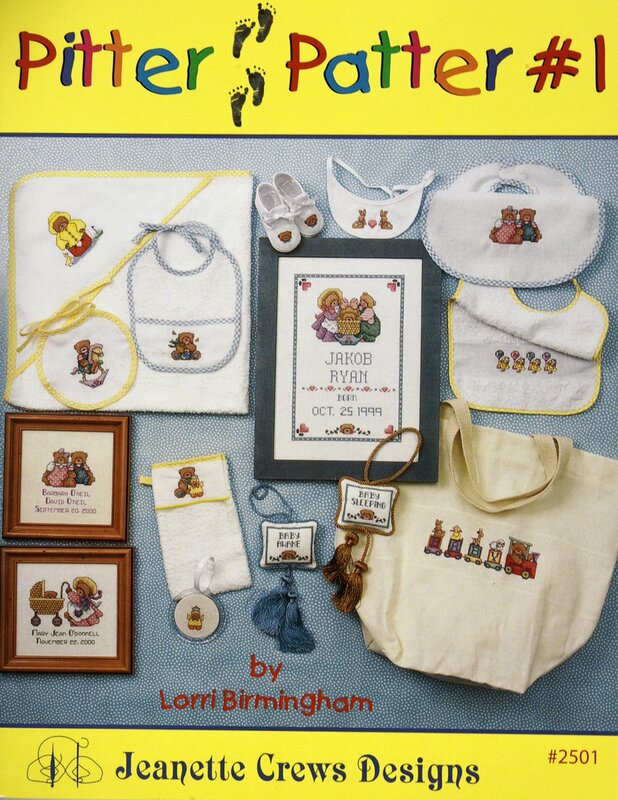 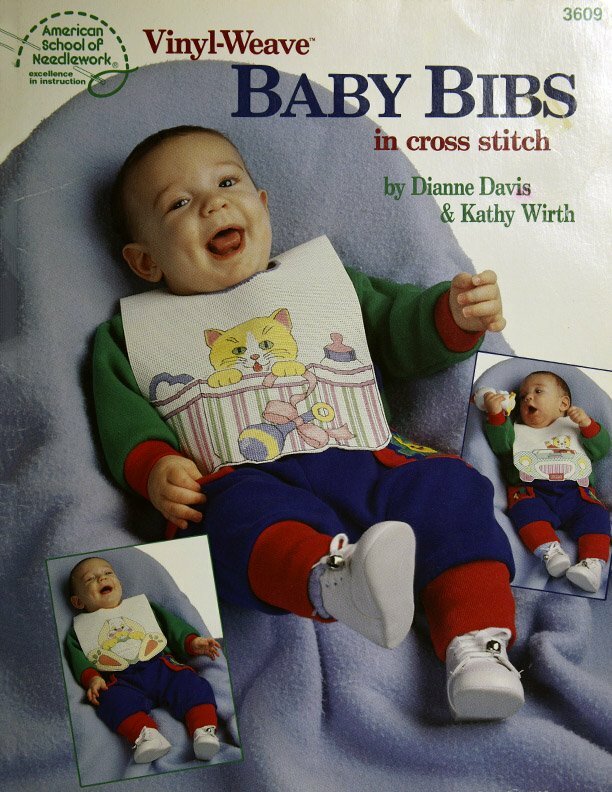 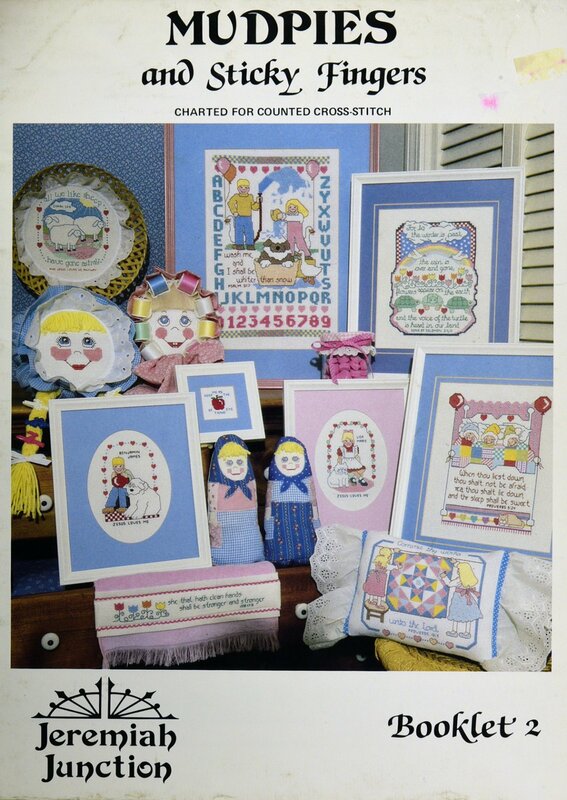 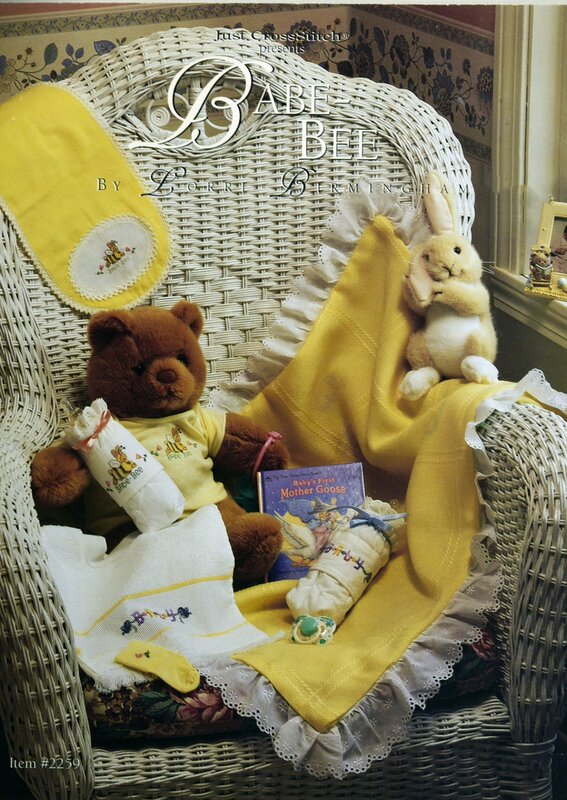 "Baby Bibs" in Cross Stitch by Dianne Davis and Kathy Wirth. 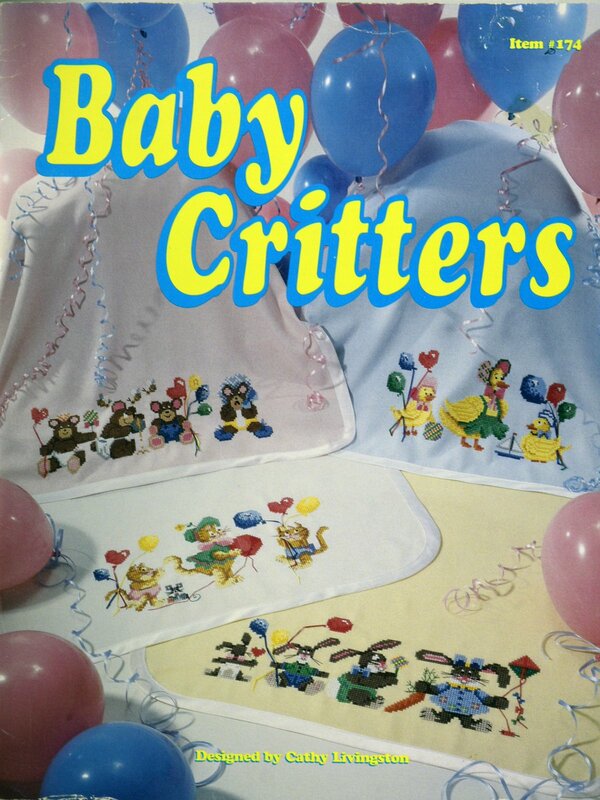 "Baby Critters" is presented by Cathy Livingston. 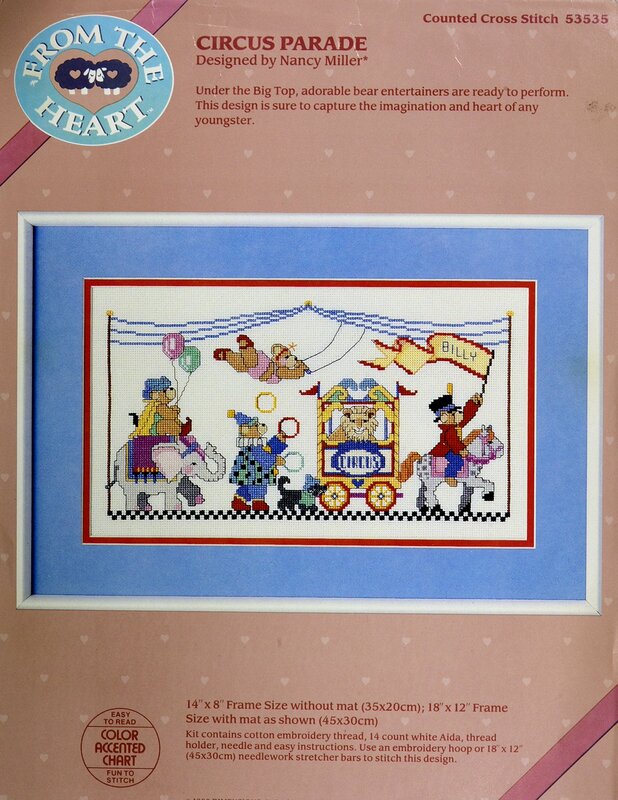 "Circus Parade" Kit is presented by From The Heart. 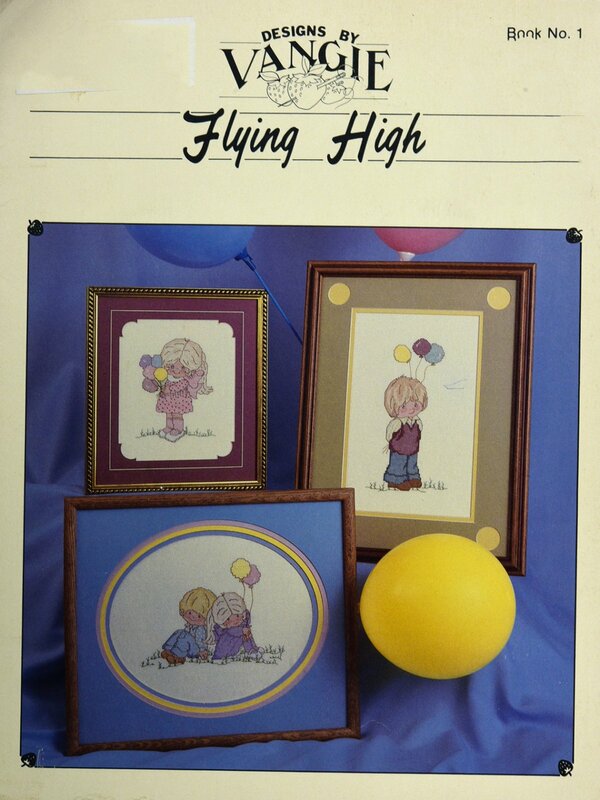 "Flying High" is presented by Designs by Vangie. 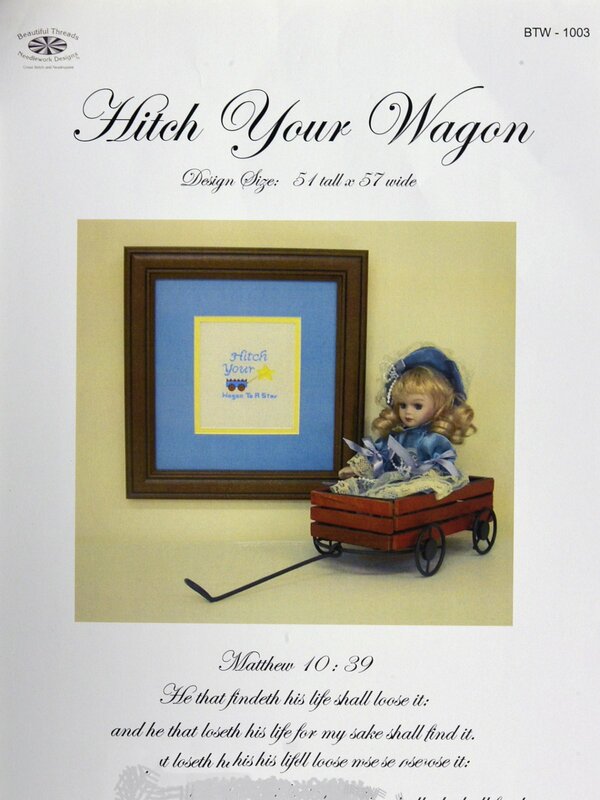 "Hitch Your Wagon" is presented by Beautiful Threads. 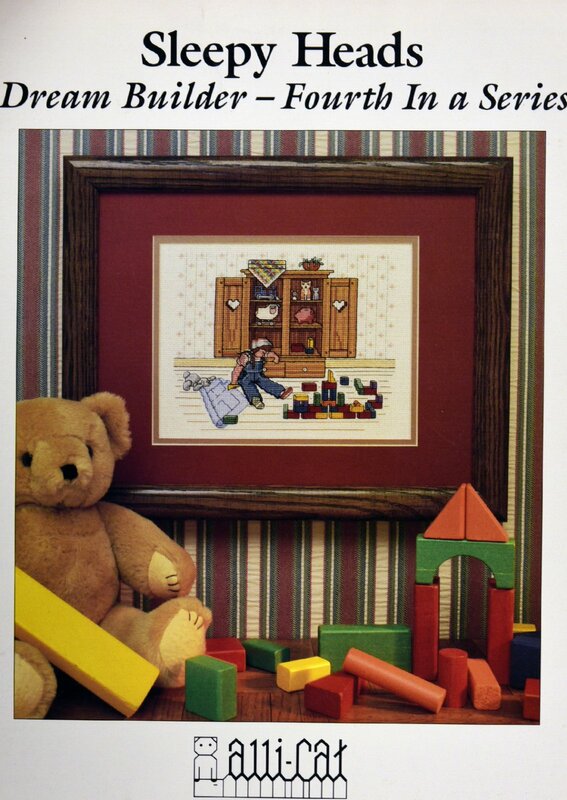 "Kids Praise" adapted for cross stitch by Patricia Rowe Dukes. 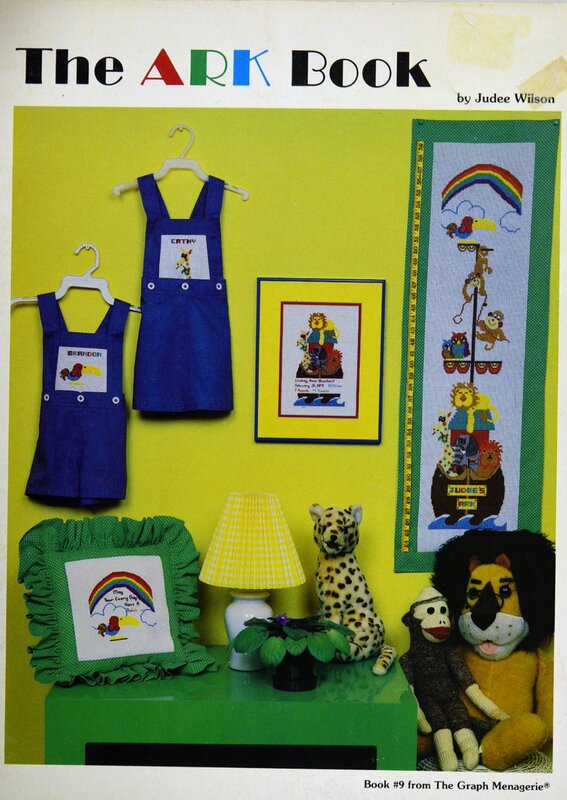 "Mudpies and Sticky Fingers" is presented by Jeremiah Junction. 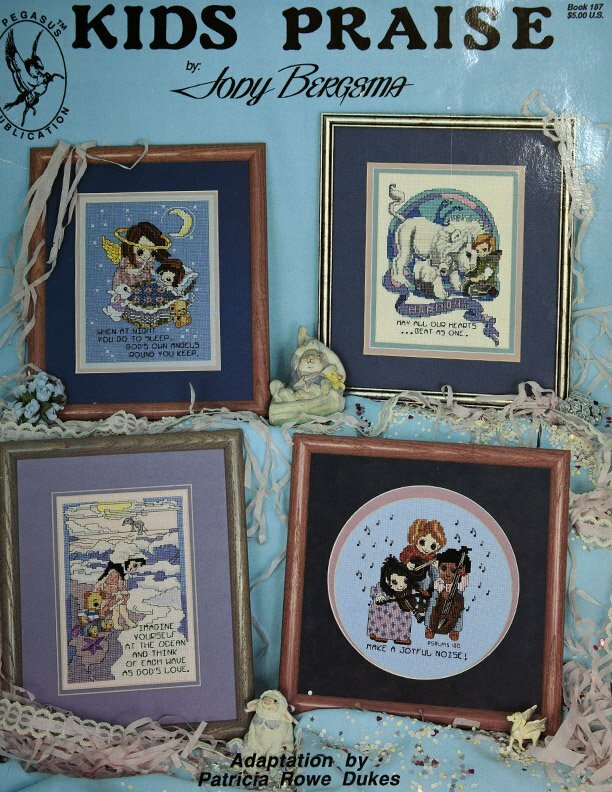 "Sleepy Heads" is fourth in the Dream Builder series presented by alli-Cat. 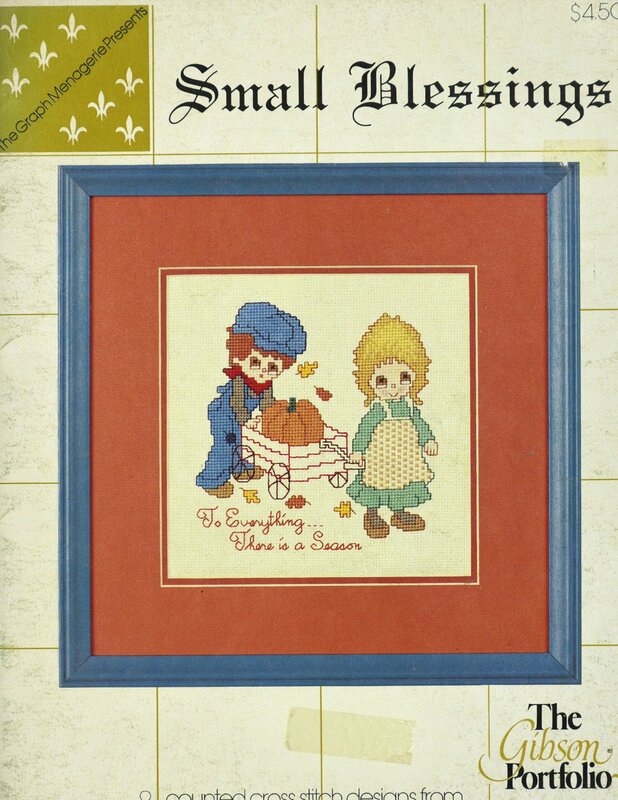 "Small Blessings" is presented by The Graph Menagerie. 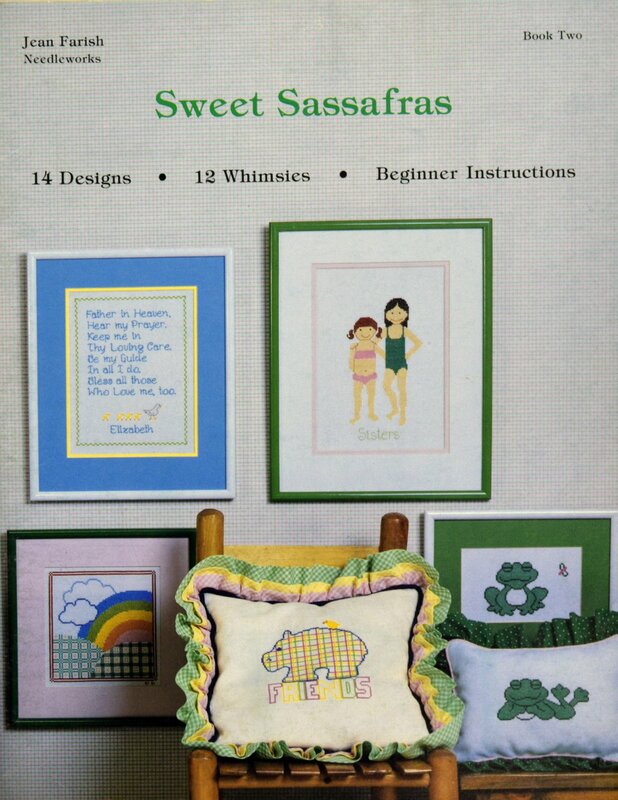 "Sweet Sassafras" was presented by Jean Farish Needleworks. 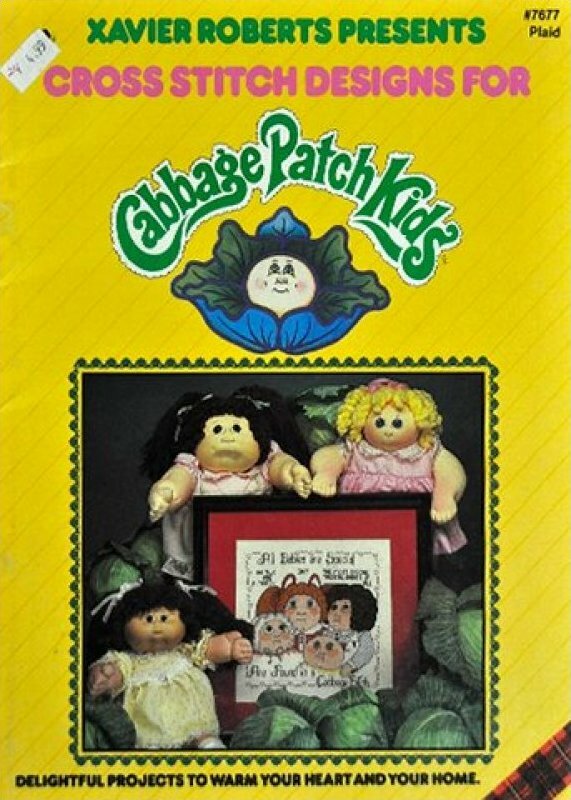 "The Ark book" is presented by The Graph Menagerie. 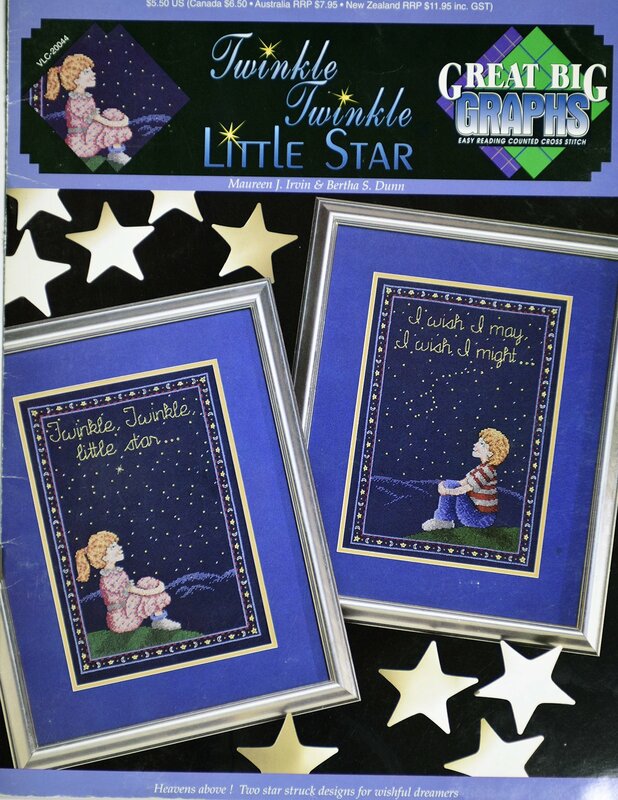 "Twinkle, Twinkle, Little Star" is presented by Great Big Graphs.